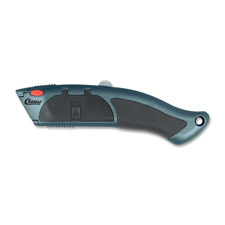 Auto-load utility knife features a 10-blade chamber and ergonomic, rubber grip for comfort. Blade is retractable and refillable. When you need to replace a blade, simply press a button on the side, and it pops out. 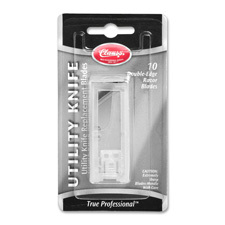 Refill blades are designed for use with the Acme Auto-load Utility Knife. Blades come in cartridge. 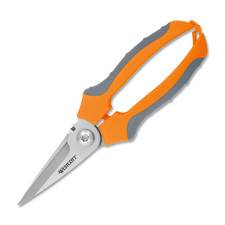 Utility Snips offer spring assist to reduce fatigue, wire cutting notch and precision-ground, stainless steel blades. 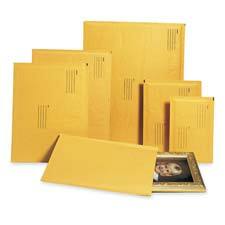 Sharp, double-honed blades retain edge after long use and resist the stickiness of tape and glue. Stainless steel blades are corrosion-resistant. Cushioned RibGrip handles are designed for comfort and precision control. 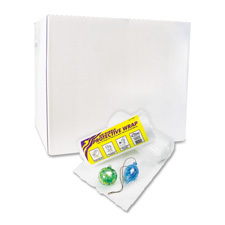 Ergonomic handles with a nonslip grip work with your hands whether you're left-handed or right-handed.